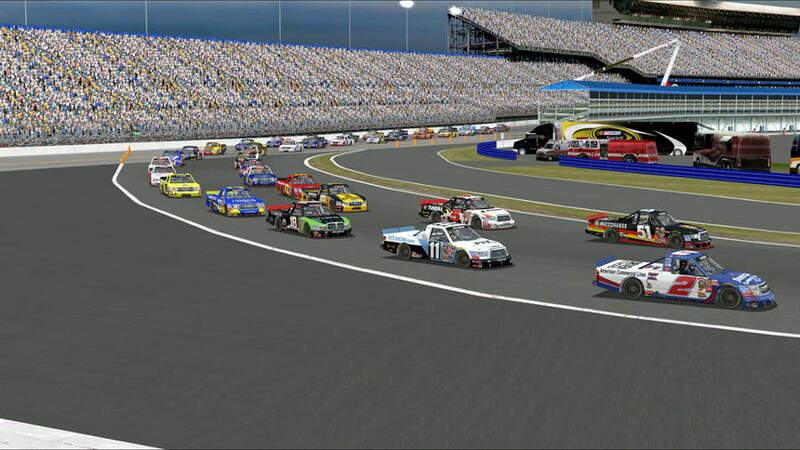 This is a refresh of the Daytona Road Course track originally created by Alex Ulleri, aka Smokey, which was then updated by Greg "FOZ" Foslien, it has now been updated to be more rookie & league friendly as well as up to 2009 specification. 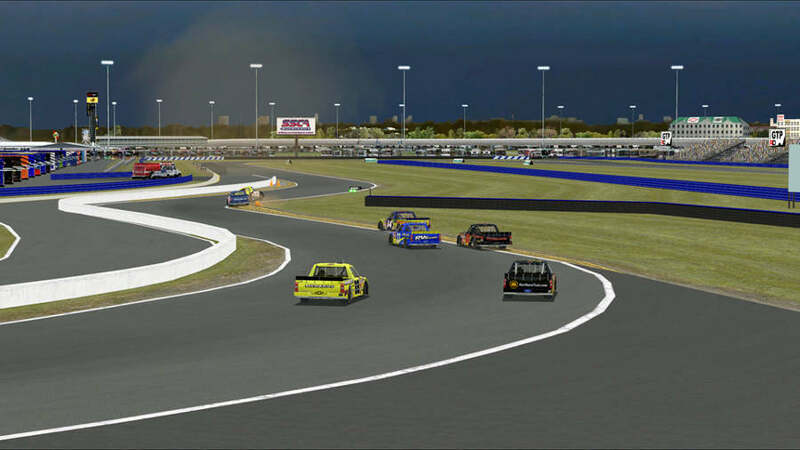 re-profiled exit of pits wall and added raised curbing. 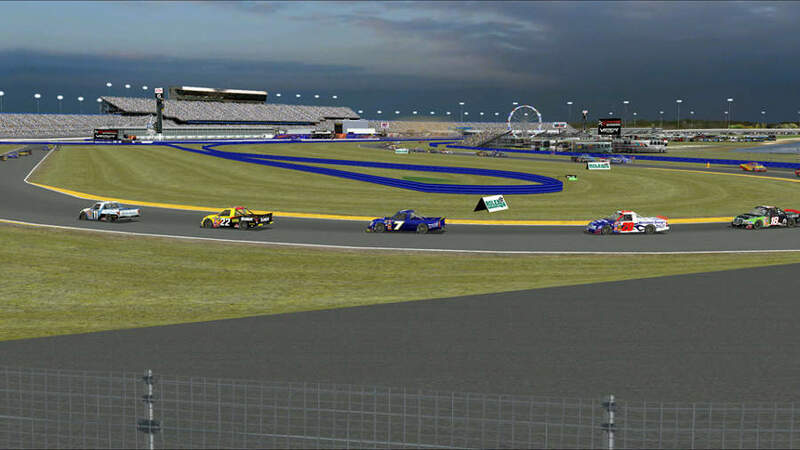 added tyre walls to turn 1, not there in real life but this was needed for the league to stop short cuts. changed all existing tyre walls to "walls" to avoid destroying your car by giving them a little tap. Don't cut the curbs in turn 1, they are vicious. 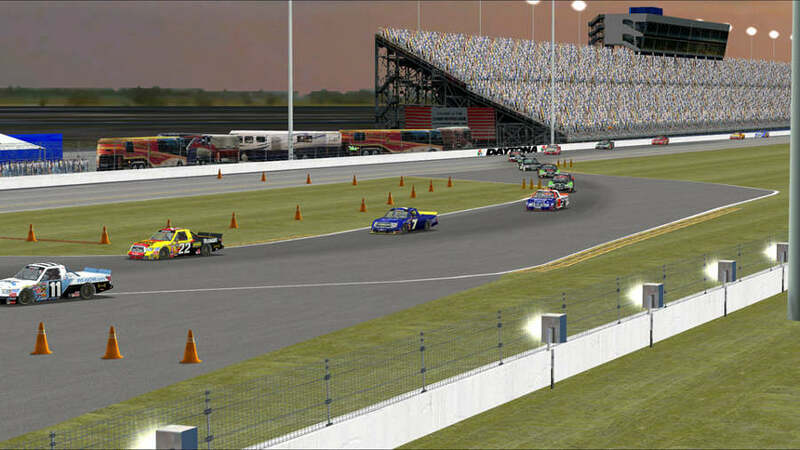 If you find yourself inside the cone area at the inner loop on the back straight, you must come to a complete stop (0mph shown) before the DOUBLE RED LINE to not get a penalty, if you fail to stop, you will get a stop/go penalty, see Penalty_Box.jpg or Penalty_Box.tga for more details. Greg "FOZ" Foslien - for granting permission for the updating to be done. OMG you actually turned RIGHT Carl! sky transitions and the animated scoring towers.